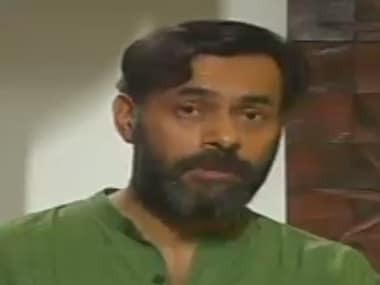 In an exclusive interview with Firstpost, one of the seniormost members of the Aam Aadmi Party and its chief ideologue Yogendra Yadav talks about the anticipated challenges of governance in Delhi and the party's economic and social policies. What made the party choose a cabinet where the youngest minister will be a 26-year-old? What option did we have other than this? I admit that there is a certain grammar of governance, which we are not very familiar with. This is the first time in the country when a state government has so many first-time MLAs. Even Arvind is a first-timer in the Assembly. Definitely, this will be a tough challenge for us. Fighting against a corrupt system and handling a portfolio are two completely different things. Writing memos, gazette, noting down the minutes of meetings and most importantly policy implementation -- it will be a challenge but we are ready to for that. But if the ministers are not experienced that leaves scope for assumption that the government will either turn into a bureaucracy run government or a party run government. How will the party handle this? That's another challenge for the party. See, it's a government led by the AAP; so of course the party will implement its agenda. But the real challenge for us will be to make sure that political governance does not become governance by party men. We have to make sure that direction by the party does not become a micro management in itself. That's what happened in West Bengal under a 35-year Left rule. The party started having its say even when it came to decide a vice-chancellor of state universities. But political governance is certainly better than a bureaucratic governance. Do you think that the Aam Aadmi Party, even though it campaigns fiercely on issues such as corruption and decentralisation of power, somehow remains silent on important and controversial social issues? That's obviously not true. We being only a year-old party cannot take a stand on everything and pretend that we know the best. But in the recent past we have taken up issues like the 1984 Sikh riots. I myself went to Delhi's Tilak Nagar and spoke about that. Recently we issued statement on issues like the Section 377 verdict and the Muzaffarnagar riots. But only issuing statements is not the same as actively campaigning and reaching out to the affected. I already said that being a new party it is not possible for us to take a stand on every issue. But I feel we have acquired such a presence in the political scene that us giving a statement (slamming) the Section 377 verdict has been somewhat of a relief for the people. But should AAP have been more active on the issue of the Muzaffarnagar riots? Definitely we could do much more that what we have done so far on this issue. But you have to realise that we are still a party with limited resources. For last three months our UP and Haryana cadres were in Delhi, relentlessly working for the Delhi election. 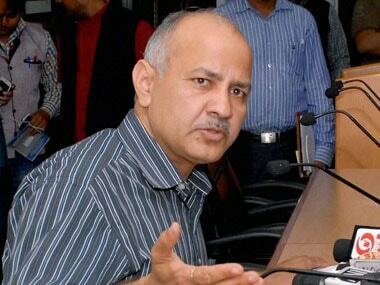 You have recently started campaigning in Haryana and mentioned that AAP is eyeing the 2014 Haryana election. Will the AAP stress on its industrial policies now, given that unlike Delhi, Haryana has scope for industrialisation? Haryana is still more of an agricultural sate. But there is an immense scope for industrialisation. The corrupt governance in Haryana has barely given any chance to industrialisation. Haryana's politicians have squeezed the industrialist and the labourer alike. It does not leave the industrialist with incentives but to make up for that what it does is supply cheap labour. It doesn't care about labour laws. 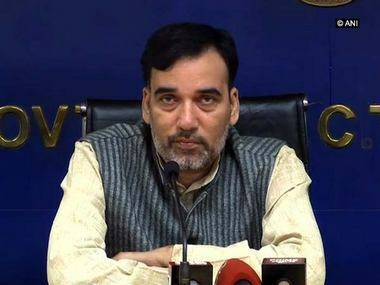 Will AAP take up labour issues in states outside Delhi? Or any coalition with labour unions? Politics is inherently a coalition activity. We have been approached by labour unions also. But what we don't want is to play the old school labour politics, where the union is only concerned about the rights of the labourer and not the bigger picture; creation of jobs, economics growth. 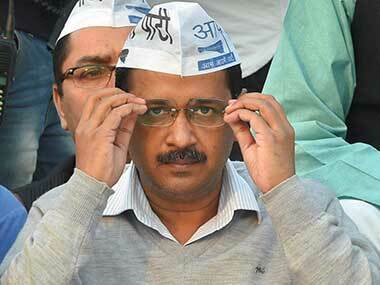 What is AAP's political ideology? Recently you said it's a socialist party but you don't give the impression of being the traditional Left. The point is that AAP does not subscribe to any pre-fabricated ideology from the 20th Century. Whatever it says is received through the traditional ideological prism. That's why we are repeatedly misunderstood and misconstrued. AAP as a political outfit has a few fundamental convictions. We believe that democracy is about restoring power to the people through radical political decentralisation. Secondly, the social, economic and sate policies must be geared to serve the Aam Aadmi, ie the most vulnerable and the disadvantaged. Thirdly, respect for and promotion of diversity is essential in a country like India. But these don't imply any specific manner in which these are to be realised. We are open to learning about the best ways of achieving these objectives. Our demand is Swaraj but we are not necessarily Gandhians. But is it possible to empower that last man while keeping the overall economic growth in mind? The objective of sate policy should be to bring the last person to the front. There should be no debate about that. If there is a debate then we are for the Aam Aadmi. But what the real debate should be is what is the best way for development? And we are agnostic in this. Is state monopoly, quota the best way to serve the poor or is the poor served better by deregularisation, fair play and fair play of the market forces. We are agnostic. The traditional socialist and leftist were wedded to the method of state but we must be open for more creative styles of working to serve that last person.